Ecuador is, in its multifaceted geography, probably the most versatile country in the American continent. It is located in the west of South America and has a breathtaking scenery, a wealth of diversity and is full of natural wonders and magical exoticism. The people and their culture are very diverse and there is an interweaving of various influences. Ecuadorian citizens are very friendly and outgoing towards strangers and especially tourists. In particular, the living conditions of the people are affected through the different atmospheres. Including the Andean highlands, the coastal lowlands and the rainforest in the Amazon basin. Thus, the inhabitants of the subtropical coast (Costa) are happy joyous, what for example has an effect on their music. They play the so called merengue or salsa. The fertile soil, the fresh coastal breeze of this area and, therefore, certainly lighter life are no doubt one reason for this joy. In contrast, residents of the rugged highlands (Sierra), as the capital, Quito, appear to be rather cold and reserved. Their folkloric music shows its proximity to the winds of the mountains. In the jungle (Oriente), the circumstances are different again. The people there partially still have to prevail against the evergreen wilderness and also activities such as hunting, fishing and gathering still belong to the part of their life cycle. However, these actions happen always in harmony with nature, which is also reflected in their village music. 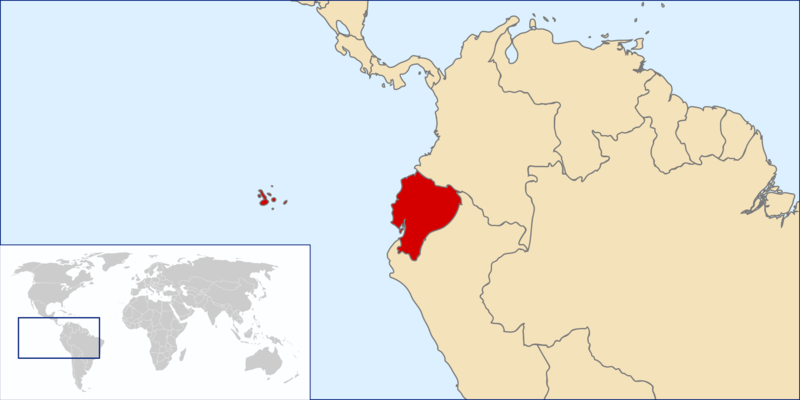 Ecuador is also known for its numerous indigenous people, the largest ethnic group is called Quichua. However, the group of indigenous people from the Otavalo valley between the mountains, are generally known best. Not to forget the Huaorani Indians, who are, due to their more traditional culture and their particular habitat, of global interest . Since 2000 in Ecuador applies the US Dollar ($); US-cent coins and national centavo coins. Since counterfeit banknotes are in circulation, shops and banks generally don’t take 50- and 100- US dollar bills. Take this into account in the transportation of US dollars in cash. Maestro cards and credit cards can be used in principle; the withdrawing money by German debit cards in Ecuador is currently not always possible. With a credit card (Visa, MasterCard or Maestro) you can withdraw cash in various cities and towns of the country. The limitation of the amount dependes on the bank between USD 200 to USD 400. German credit cards as payment in shops do not always work. Limitations also result in smaller places. No matter which tourist attractions you visit, you will surely find a souvenir. Especially jewelery from corals, shells and tagua nuts (Tagua) is offered. Also handmade figures from the same materials are sold. Furthermore you can find, region-dependent, various leather goods, clothing made from alpaca wool and, not forgetting the world-famous Panama hats, which is originated here in Ecuador. Passport with at least six months’ validity. In contrast to the countries in the temperate zone of the sphere, Ecuador has, due to its location on the equator, no seasons . Thus Ecuador is also often referred to as Land of Eternal Spring. Accordingly there are only two seasons: the colder and rainy season (invierno/Winter) and the rather dry-hot season (verano/summer). However, the weather depends again on the region in which you are. Because while the Andes are covered with snow and you can protect yourself in Quito with hat and scarf , you no longer need on the coast as swimwear . On average there on the hot and humid coastal a temperature of 25 to 30 ° C . In contrast, the interior , and therefore the capital Quito , much cooler . There, the average temperature is between 8 and 21 ° C .